The concept of mixing media is certainly not a new idea in Visual Arts, however across curriculum areas in schools technology and ‘digital tasks’ are often separated from the ‘hands-on’ learning opportunities. In many classrooms and studio space even mobile devices, perceived as an expensive and fragile commodity, are excluded as a matter of course from ‘making’ tasks, conspicuously absent when the messy business of creation begins. 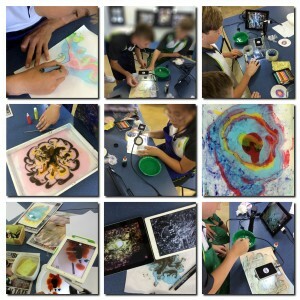 In many classrooms it’s not until the desks are clean and the hands are washed that it’s time for ‘iPad activities’ to be rolled out under the banner of connecting technology and art. This separation is the product of a paradigm that does not acknowledge our connected kids use their devices everyday for creating. Best practice fosters links between learning objectives, diverse practices and mediums. Considered instructional design can produce seamless movement between ‘apps and anything else’, as technology permeates the art-making materials on offer. Engaging with complex and organic workflows empowers students to create across a variety of media, using apps, charcoal, photography, anything in combination, and in doing so, redefine their understanding of creativity. Learning in the Arts can be truly multi-disciplinary. For example, a project might start with a student creating a drawing in pencil, and a photograph taken of the sketch with the iPad camera follows. The opportunity to digitally manipulate the image using apps results in a new work, and it is saved to the camera roll. Printing the work, adding a wash of color across the paper and cutting it into pieces sees the creative process continue. In these mixed-media workflows, unlimited possibilities can be explored as techniques, processes and media combine across diverse folios. Ending points become starting points, highly original work evolves and students become aware of their potential as innovative creators. Deep engagement and understanding of the creative process is often the most powerful result. Drawing with pen to create an animation, captured on iPad, and then activated within a painting using augmented reality to create an interactive, living image. It should also be pointed out that relying on apps that are marketed as ‘educational’ or ‘for art’ is profoundly limiting. Using the iPad students can take screenshots of maps as a starting point, explore the body in 3D using a medical app as part of a life drawing class, or get gaming to build experimental architecture in Minecraft. The repurposing of apps as part of a creative workflow is to invite exploration of diverse ways of working, discover the creative potential of new media and make connections. A painting is never finished – it simply stops in interesting places. 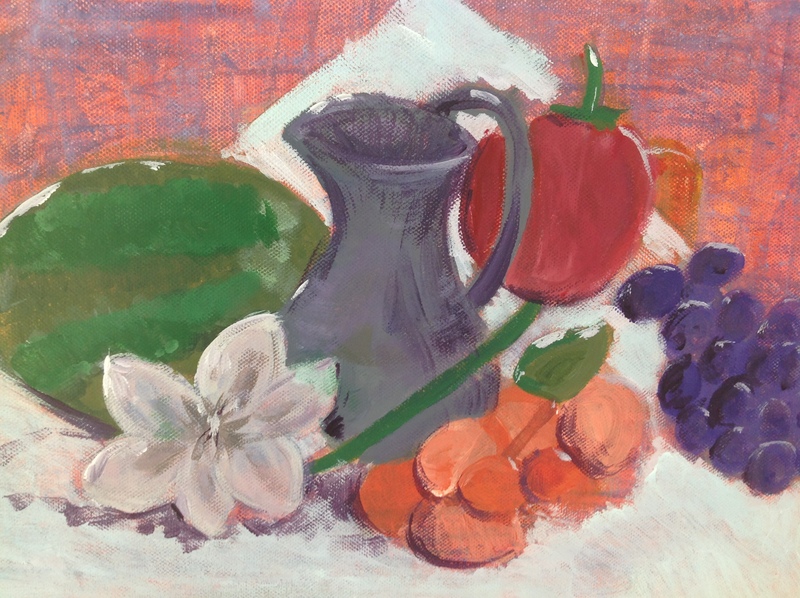 In the project below, students created a painting of a still life as the first part of a multi-disciplinary approach that incorporated the iPad as a creative tool. 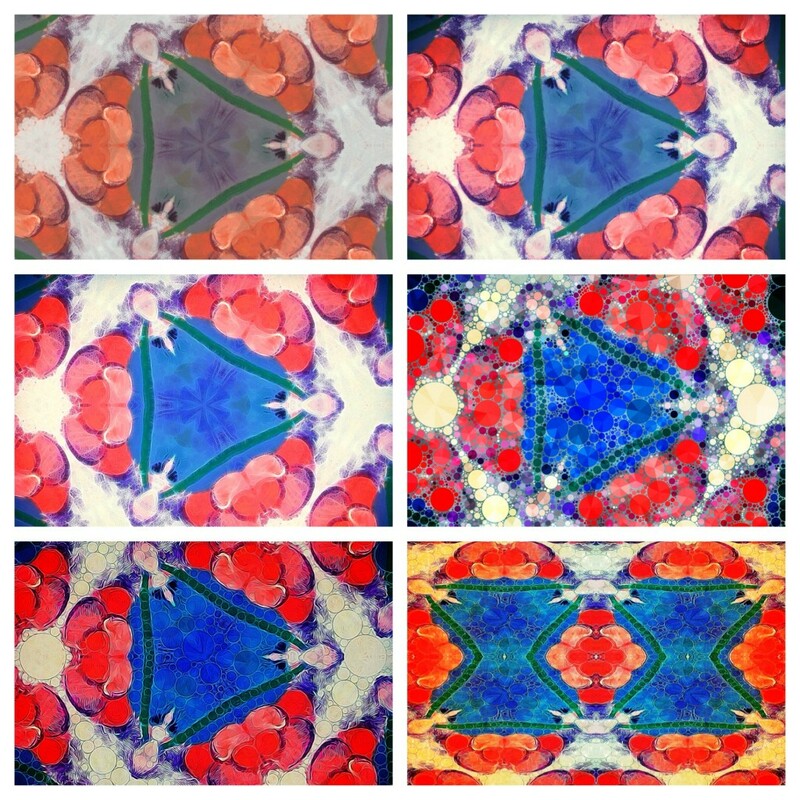 Finished paintings were photographed using the iPad camera then manipulated in a variety of apps. In this task, students were able to see their ‘finished’ work as a starting point for new ideas and investigations. Using their paintings to create new work was motivating for students who really liked their paintings as they viewed their image in a new way. 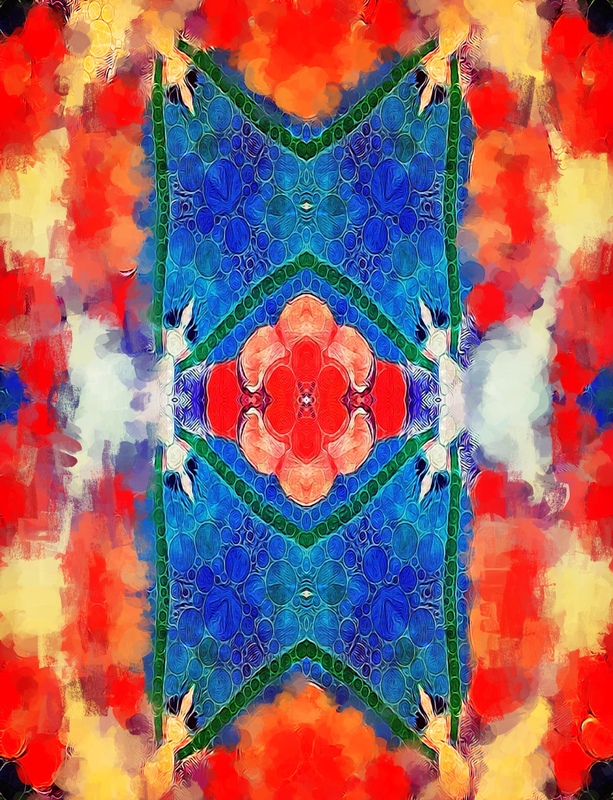 Those students who found the medium challenging often engaged with the next steps as an opportunity to produce satisfying work – the quality of the painting did not determine the success of the abstract imagery produced on the iPad. 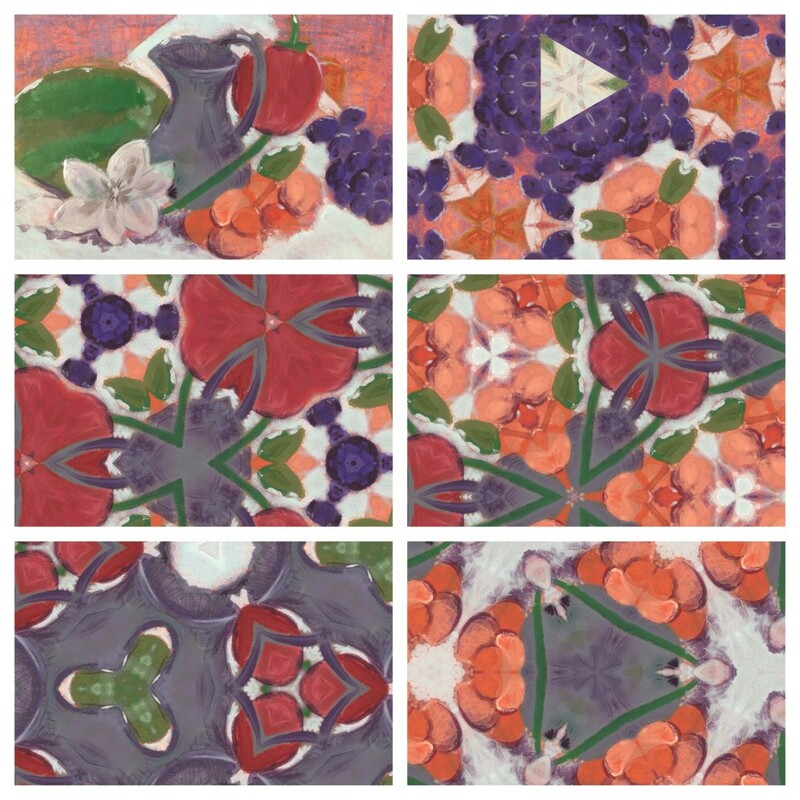 While some students were happy to finish their work digitally, others printed pieces and painted layers on top, reconstructed pieces or combined images. Some even photographed these works and worked back into them digitally again. The process of moving between mediums in this way can be profoundly empowering, as students truly engage with the creative process and begin to appreciate the endless possibilities available to them as art makers. Here is one student’s record of a process that took her on a journey from representational imagery to abstract art-making. If you liked this post, you might also enjoy ‘Printmaking – in all kinds of ways!‘.